Out of the ashes of the Nazi concentration camps came an extraordinary love story which caught the public's imagination at the end of World War II. This autobiography tells how the author survived the camps and met her husband, a sergeant working for British intelligence, when he arrived to round up the SS guards for interrogation. Norman Turgel, then a young man, was among the first to enter the camp on April 15, 1945, and like so many battle-hardened soldiers, was deeply shocked and angered by the human suffering and degradation he witnessed. Yet it was here, in the midst of the living evidence of the most terrible suffering that man has ever inflicted on his fellow human beings, that he fell in love at first sight. Gena, a young Polish Jewish inmate of the camp, who had experienced indescribable loss, hardship, and deprivation, was to survive and find happiness against all odds. This is Gena's story: the autobiography of a woman whose strength of spirit enabled her to keep her mother alive and thereby save herself. When Gena married Norman in Germany in October 1945 in a wedding dress made of British parachute silk, the British Army Rabbi proclaimed their love a symbol of hope after so much death. 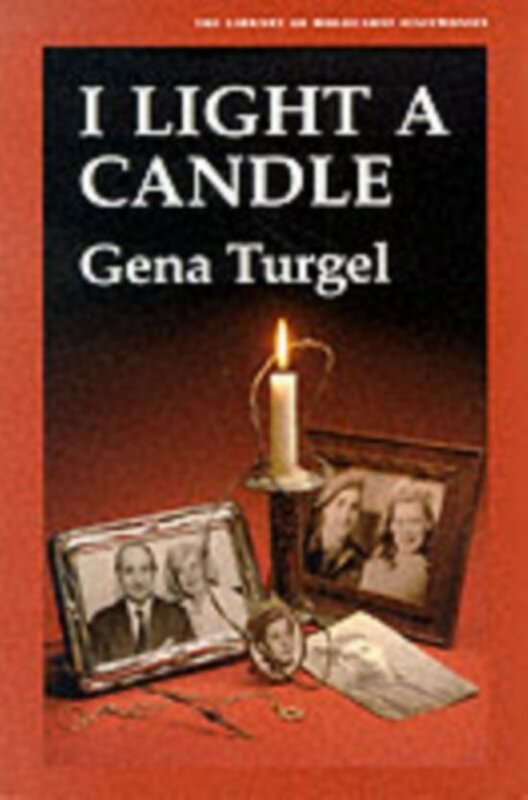 But, Gena still lights a candle in memory of her three brothers and two sisters who died in the Holocaust. And, while her own story has a happy ending, she can never forget.